Mr. Paulin DJOMO joined the United Nations Regional Service Centre Entebbe (RSCE) in Uganda, as of Monday 18 December 2017. Before joining the RSCE, Mr. Djomo has served the United Nations for the past 21 years in a variety of positions and different UN entities; the International Organization for Migration (IOM), the United Nations High Commission for Refugees (UNHCR), the United Nations Development Programme (UNDP) under the UNV programme, the UN Secretariat (MONUC - FPD/DFS). His most recent assignment was in Yemen/Jordan where he served as the Chief of Mission Support for the Office of the Special Envoy of the Secretary General for Yemen (OSESGY), based in Amman. He is a national of Cameroun, where he studied and graduated in Law at the University of Yaoundé. Mr. Djomo has extensive experience in Human Resources, Administration, Budget and Finance. While serving at United Nations Headquarters, he was included and contributed to several working groups, strategic and technical assessment teams that provided strategic guidance to field operations at different stages of their existence. He also assisted the Department in the establishment of the RSCE under the Global Field Support Strategy (GFSS) initiative. He was responsible among other undertakings for identifying non location dependent Human Resources transactions that will be part of the shared services and develop the rationale for an economy of scale. Ms. Nalini Contreras joined the United Nations Regional Service Centre Entebbe (RSCE) as Deputy Chief on 27 June 2018. In this capacity she coordinates with the Chief of the RSCE to implement and oversee administrative and operational strategies, including all programs, policies and activities. 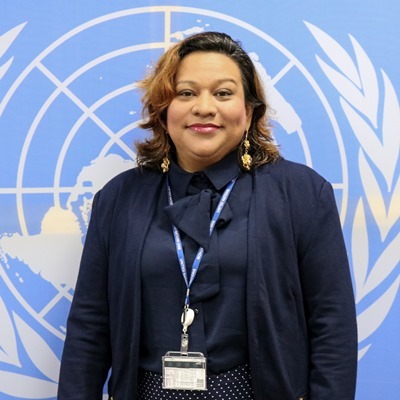 A native of Belize, Ms. Contreras joined the Centre with over 20 years of professional experience of which 17 have been in the United Nations Secretariat in the areas of human resources and administration. Ms. Contreras served in the United Nations Mission in Sierra Leone and was a human resources desk officer at the UN headquarters in New York for several peacekeeping and special political missions. She has worked in the Office of Human Resource Management, the Department of Field Support, the Department of Peacekeeping Operations, and the Office of Internal Oversight Services in various roles. A successful candidate in the National Competitive Recruitment Examination, she has served under three Secretaries-General. Throughout her career Ms. Contreras has been responsible for leading the implementation of several organization wide change management initiatives including the operationalization of the Field Central Review bodies, the Young Professionals Programme and the new Managed Reassignment and Staff Selection System. Ms. Contreras also played key roles in the development of Galaxy and inspira and created the first training programmes for practitioners of both HR systems. She holds an MBA from the University of Texas and a Bachelor’s degree in Economics from Rockhurst University. Mr. Emmanuel Ngor has broad experience serving in peacekeeping missions, where he has held various ICT supervisory and managerial positions in UNMIK, UNOMIG, UNIIIC and Entebbe as well as at the United Nations Stabilization Mission in the Democratic Republic of the Congo (MONUSCO), where he served as Chief CITS. In addition to his technical work, Mr. Ngor contributed to the development of "Working Smart: The Foundation Module" of the DPKO's Senior Mission Administration and Resource Training (SMART) programme. Before joining the UN, Mr. Ngor was a Research Assistant at Dublin City University, Republic of Ireland, as well as Supervisor of ICT Network and Research Analyst at the Shell Company of the Sudan Ltd.
Mr. Ngor holds a Master of Science in Computing from the Loughborough University, Loughborough, Leicestershire (United Kingdom). Born in 1970, he is married and has two children. Mr. Zewdu Mebrat Tegen is a Service Delivery Manager for Benefits & Entitlements at the Regional Service Centre Entebbe (RSCE). He oversees operations of five service lines comprising Civilian Benefits and Payroll, Onboarding and Separation, National Staff, Uniformed Personnel and the Regional Training and Conference Centre. Mr. Tegen joined the Centre with over 20 years of professional experience in financial management and accounting variously in public sector and international institutions. He began his career in the UN system with UNICEF as Accounting Manager in the Financial Management and Administration Centre (FMAC), Copenhagen, Denmark. Mr. Tegen, a Registered Public Accountant, is a Fellow Chartered Certified Accountant and a member of the Association of Chartered Certified Accountants (ACCA). He holds MBA and Post Graduate Diploma in Management Studies from Nottingham Business School in the UK., and a Bachelors Degree in Accounting from Addis Ababa University, in Ethiopia. As a Service Delivery Manager of Financial Services & Compliance Monitoring Pillar at Regional Service Centre Entebbe (RSCE), based in Uganda, Mr. Josef Salani is head of a service delivery pillar that has four service lines responsible for processing transactions on behalf of RSCE’s client and non-client missions. These transactions are in respect of Financial Reporting, Compliance Monitoring, Vendors and Cashier. Prior to joining the RSCE, Josef Salani was working at a Global Shared Service Centre for United Nations Development Programme (UNDP), based in Kuala Lumpur, Malaysia. He joined the GSS Centre at its inception in November 2011 and worked in different portfolios until his departure in May 2016. 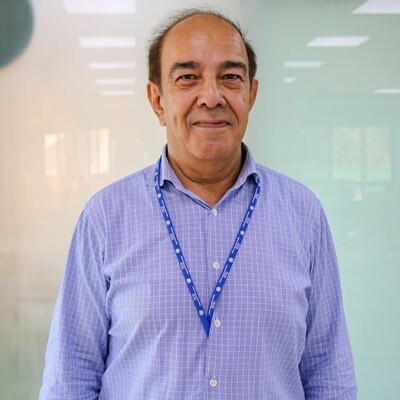 At the GSS Centre, Mr. Salani initially worked as Regional Services Manager, responsible for UNDP country offices in Africa and Arab States regions. Later on, following a restructuring of UNDP, Mr. Salani was reassigned to head a global Record to Report (RTR) team that was responsible for transaction recording and reporting for UNDP country offices and Headquarters Offices. Prior to joining the UN common system, Josef Salani worked in the private sector with several years in Audit and Assurance, Accounting, Finance and General Administration. Josef Salani’s background is primarily Finance. However, having worked in Accounting and Finance for many years, he has now specialized in Outsourcing in general and Shared Services in particular, and Operations Management. Since joining the RSCE in May 2016, Josef Salani has worked hard in ensuring better client service, improved the speed of processing transactions to meet Key Performance Indicators and oversaw the renewal of big budget Travel Management Services contract, among other achievements. Josef Salani is a Fellow of Association of Chartered Certified Accountants (FCCA) and a US Certified Internal Auditor (CIA) as well as an International Public Sector Accounting Standards (IPSAS) Specialist, certified by the IPSAS Board in United Kingdom. He also holds a Master’s degree in Business Administration (MBA Finance) and a Bachelor’s degree in Accounting. Agha Shaheen Khan is the Service Delivery Manager for Travel, Claims and Education Grant at the Regional Service Centre Entebbe (RSCE). He oversees operations of the three service lines comprising of Travel Service Line, Claims Service Line and Education Grant Service Line. Mr. Khan joined the Centre with over 20 years of professional experience in financial management and accounting in the public sector and international institutions. He began his career in the UN system with UNRWA Headquarters in Amman, Jordan as a Financial Policies and Systems Officer. Later he was the Head of Finance in the Jordan Field Office. Before joining RSCE he was the Head of Finance in UNRWA Lebanon Field Office, Beirut. Prior to joining the UN common system, Mr. Khan worked several years in the private sector in internal auditing, financial accounting, corporate reporting, finance and general administration. Mr. Khan is a Fellow Member of the Institute of Chartered Accountants (FCA). Ms. Benta Aseto joined the UN RSCE in February 2019 as the Chief of the Client Services Pillar. She is a seasoned customer advocate and expert, with experience spanning over 25 years gained from service-oriented organizations. Benta has held several senior leadership positions prior to joining the RSCE. Working with Barclays Bank, she served as the Country Head of Customer Service for Barclays Kenya before moving on to head the Africa Regional Services for Barclays Africa Group in charge of 12 countries in North, West, East and Southern Africa. Before joining Barclays, she worked for Citibank N.A, ABN AMRO Bank and Kenya Airways where she was the Head of Passenger Services helping the airline to manage its customers. In these roles, Benta championed customer service strategy and execution, service transformation and innovation, embedded the philosophy of Treating Customers Fairly (TCF). Until recently Benta was the Lead Consultant and Chief Executive Officer at Celcos Africa Consult Limited. She was on the Board of Directors with the Institute of Customer Experience Kenya (ICX Kenya) and Operations Management Society of Kenya (OMSK). Benta has received extensive training from leading business schools such as London Business School, Harvard University, Duke Leadership Academy amongst others. She holds a master’s in business administration (MBA) degree from the University of Nairobi as well as a Bachelor of Education degree from Kenyatta University. Benta is passionate about knowledge sharing and capacity-building, has been a keynote speaker and thought leader at local and international conferences on Customer Experience. Benta is married and has 5 children.